Since 1959 the moonwalk has been invited and shared by millions of people of all ages to jump for joy. Other notorious names for the moonwalk is inflatable castle, Bouncy Castle, and the Astrojump or Spacewalk. These structures are typically made with PVC, vinyl or nylon and are powered by high output fans or blowers that include some type of the landing pad and are much like jumping on a trampoline. Here are some other interesting facts that you may not have known about this well designed craze that’s taken the world by storm. The first inflatable bounce house was created in Shreveport, Louisiana by a man called John Scurlock. Scurlock was an engineer who built inflatable domes, tents, and safety air cushions. In the 1986 the Fun Plex opened in Memphis, Tennessee and was the first place to include multiple units more commonly known as the Inflatable Zoo. The first waterslide was created by Scurlocks son, Frank, in the nineties. This has become some of our more popular requests, especially in a place such as South Florida. The latest and greatest of these fun party favorites is known as the obstacle course. Shows like “Wipeout” found on ABC in 2008 became an international sensation and where contestants competed against each other on multiple inflatable apparatus and falling into a body of water. The show became so well known for its fun commentators, but mostly watching people becoming plummeted by unexpected inflatables that move. The most fun was watching the participants get whacked with smack balls and moving propellers. Many inflatable rental companies today offer a variety of obstacle courses and waterslides that contain giant rubber balls and can be used the same way. The largest inflatable in the world is located in Europe and offers a variety of inflatable features such as a zoo of blow up animals, a water park, equipped with slides and trampolines that are surrounded by a body of water. Today you can find a huge variety of bounce house rental throughout the world. This party feature has apparently caught on and isn’t going anywhere soon. Many people know that introducing your guests to the wonderful world of bounce houses, waterslides and obstacle courses are not only something that’s evolved, it’s something that will make a history in your family going down as the greatest party ever! 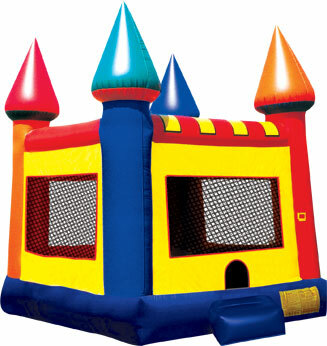 For more information on Moonwalk Bounce Houses and Inflatable Rentals contact us!! . We’ll help you find the one that’s right for your next party, event or celebration. 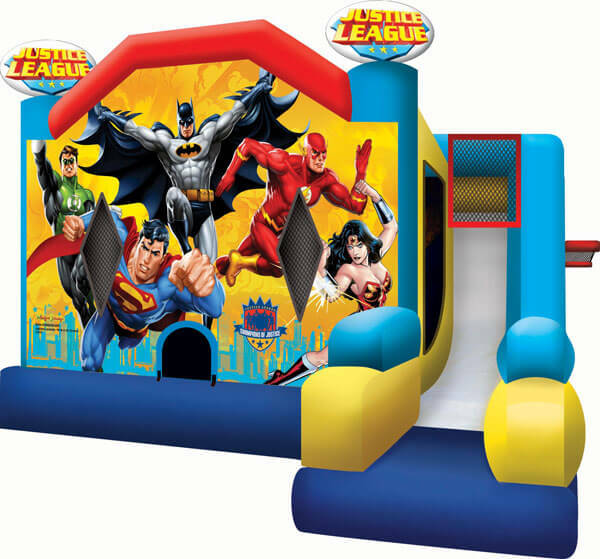 If you are having a party and want to rent a moonwalk bounce house, chairs or any other party needs – Call South Florida Bounce – We have bounce houses for rent in Palm Beach County but we also have plenty of Party Rentals for all of South Florida. EXAMPLES OF MOONWALK BOUNCE HOUSES FOR RENT IN LAKE WORTH, WELLINGTON FL, WEST PALM BEACH, PALM BEACH AND BROWARD COUNTY.